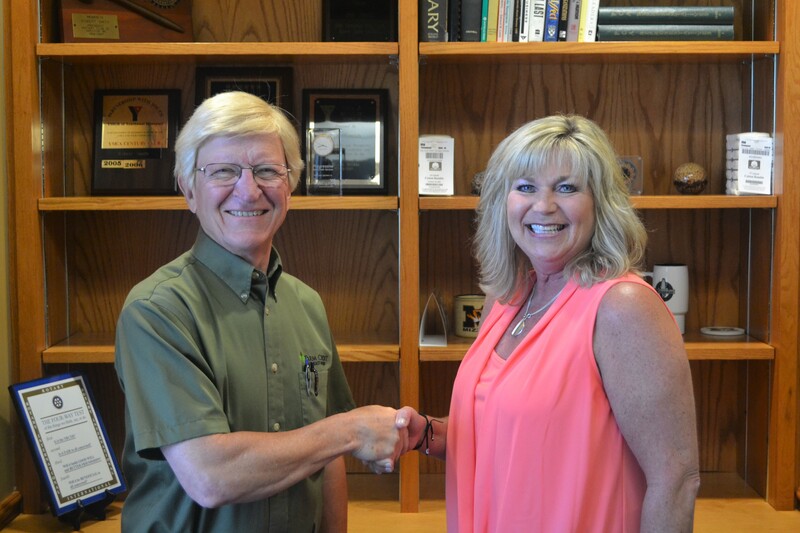 EVP/CFO Vern Griffith (left) congratulates Loan Operations Specialist Tammy Tucker (right) on 20 years of service with Farm Credit. Tucker began her Farm Credit career in 1998 as a Customer Service Representative at the Kennett Branch office. After a little over 4 years at Kennett, her family moved to Jonesboro, Arkansas, and Tucker transferred to Farm Credit Midsouth in 2003. Over the next 13 years, she held positions of Customer Service Representative, Customer Service Team leader, and Lending Services Coordinator, leading key technology/operations initiatives for Midsouth. 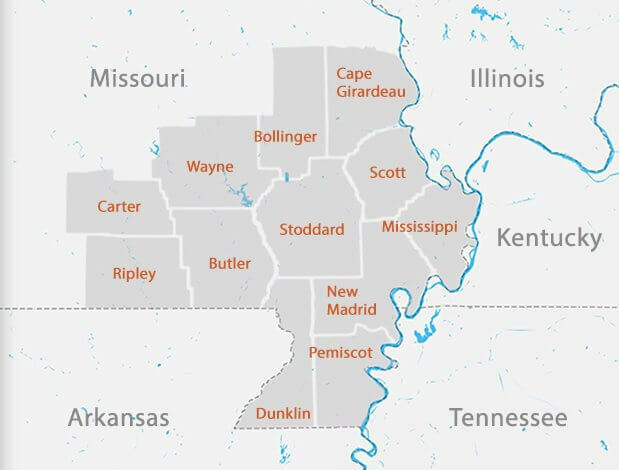 In May 2016, Tucker returned to the Sikeston area and resumed her career with the Farm Credit Southeast Missouri Association where she currently serves as Loan Operations Specialist at the Central Office.